Looks like the Big Ten is finally getting that highly touted perennial independent they've been after. Johns Hopkins University will reportedly announce today (here, in fact, if I've posted this in time) that they are joining the Big Ten as an associate member in men's and women's lacrosse. The announcement runs concurrently with the Big Ten's acknowledgment that they will sponsor lacrosse as a conference; the addition brings them to the requisite six teams for the Big Ten's own standards and, more importantly, a tournament autobid. In doing such, the Big Ten, not the ACC, will be the first of the major conferences to sustain a true lacrosse conference. The ACC's four team consortium will briefly balloon to six for the 2014 season, after Syracuse and Notre Dame join but before the Terps leave, and the Big East will find themselves at six once more after the league split by bringing in Denver (major Eastern metropolis that it is), but one would be hard-pressed to call them a major conference any more. It was a calculated, power move by the Big Ten. 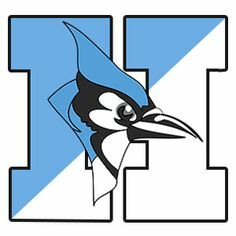 In adding College Park and now Hopkins, they have added instant legitimacy to a lacrosse conference that has yet to form. I don't know if the ACC ever made a play - frankly Hopkins should have been theirs to lose - but the Big Ten reaffirmed that they are an East Coast conference just as much as a Midwestern one. The brand-name-on-brand-name synergy with the Big Ten and Johns Hopkins should be good for the sport, and at least on the men's side, they pair off into nice little rivalry/potential rivalry couplets: Hopkins-UMCP, Ohio State-Michigan, and Penn State-Rutgers. The Big Ten Network gets more product, while lacrosse stands to get more televised games. It even makes me hate the College Park to the Big Ten move a bit less. And to give lip service to the academic side of things, Hopkins is a great fit for the Committee on Institutional Cooperation. It's a rare major conference move not motivated by football or even basketball.